Something wonderful happened to me in May of this year. God reached into my life with a new calling so profound that I must share it with you. The story began Thursday afternoon, May 26th, 2011 in my hotel room in Austin, Texas. I had been in Texas to deliver an estate plan to friends in Harlingen, Texas, a community near the Mexico border about six hours south of Austin. Having returned to Austin, my flight home to Portland, Oregon would not leave until the next day, Friday, May 27th. Thinking about how to spend the rest of my time in Austin, I considered sightseeing or going to a movie. Eventually, I decided to stay in my hotel room and watch TV. Making that decision as I finished lunch in my room, I sensed God’s presence filling the space around me. Soon thereafter, the presence flooded throughout my being. From its intensity, I knew there would be no escape from what followed. All I know is that the experience began around 1pm. It lasted until I fell asleep from exhaustion around nine or ten o’clock that evening. The experience was unlike anything I had been through before in my life. All I can say of the presence which flooded through me is that I became tearful, unsettled and deeply anxious. I kept saying, “Please don’t do this to me. You can’t do this. Please don’t do this.” Despite my tears and distress and when I could no longer resist, God’s message streamed uncontrollably from my mouth. Repeatedly the same words forced themselves out of me, “You are called to establish a church free of the encumbrances of the world. You are called to establish a church free of the encumbrances of the world. You are called to …….” Over and over the words flowed out irrepressibly. I have no idea how long this went on, but eventually the words stopped when it seemed the phrase had etched itself unforgettably in my mind. In response, I desperately complained that I did not have the strength, intellect, skills, or stamina for such things. Seemingly dismissive, God responded in a manner like the previous utterances, “When this has happened, then you can rest. When this has happened, then you can rest.” Over and over the words repeated and forced themselves out of me. After returning home, one person with whom I shared the experience said, "This changes everything." For me, the words were prophetic for much has changed. The extraordinary experience led to weeks and months of soul-searching, extensive consultation with others, some private crises, and several life altering changes. Taken together, all of these have consumed a great deal of time. In many respects, the time and journey have been a wilderness wandering of my own. In turn however, the wandering has brought clarity. And with that clarity there followed several personal decisions necessary for embracing a new call. 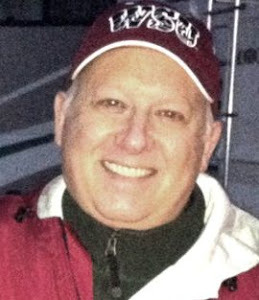 As some of you are aware, those decisions included me ending formal ties with the church denomination in which I had been raised, and ordained when I was a young adult, and professionally employed with for 18 years. These decisions became necessary only because the denomination itself is not free to embrace a church like the one God is calling me to establish. 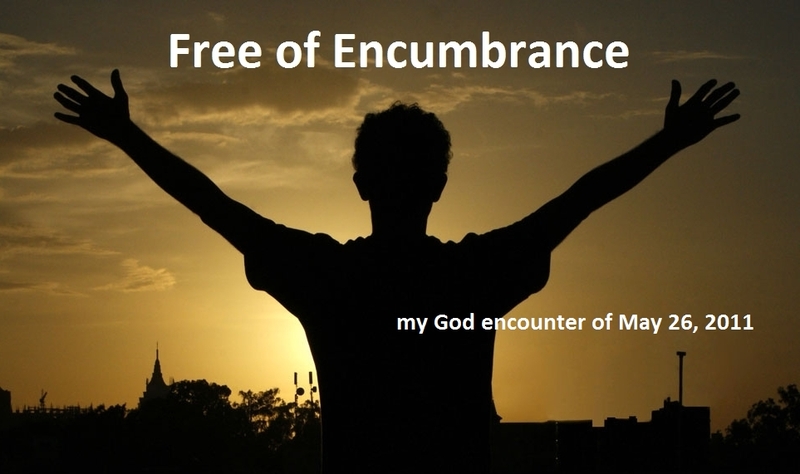 In the months since May 26th, the feedback that I have received the most consistently from consultations with others is the importance of the words “free of encumbrance” and keeping myself open to what all this might lead to. What has also been expressed is the great care and patience that must be taken in going forward. On that note, one pastor shared the following: “Keep your spirit open, God may have broader and bigger plans than you think. You don’t know what this will lead to or what it will look like.” Because of those words, what is clear is that God wants others invited into discernment of what a church “free of encumbrance” is to be and do. Please know that if it was possible to specifically determine whom God is trying to reach and invite through this letter, then I would only approach those persons. Since that is not possible, I feel led to share this letter as openly and broadly as possible. If it speaks to you, then please consider it God’s invitation to you. As such, it is therefore an invitation to join me and others in a journey of discovering and living out an unencumbered faith -- a faith that will be unlike anything you or I have previously seen. It will also be a journey to carefully examine and reconsider what words like “church” and “apostles” and “free of encumbrances” and “my coming” need to mean if humanity’s common good is to overcome the greed and need for power and control that plague our world today. In my heart, I also believe that it will be journey to discover what these things need to mean if the rich spiritual diversity that God has placed in this world is to be honored and affirmed across all faith traditions. If you are interested in this journey and invitation, then I hope you will contact me at your earliest convenience since I plan to initiate a discernment community for this new calling. Gatherings will occur face-to-face and utilize online video/audio conferencing so as many can participate in the process as possible. Discernment may last weeks or months or even a year or two or more before a church “free of encumbrance” is established. Should you become part of this exploration, I assure you that our journey together will occur in the healthiest and most deliberate responsible manner possible. Only in this way is it possible to know what is of God and what is not. May the Peace of all God’s prophets, mystics, apostles, and teachers be with you -- for all are called according to the gifts of God unto them -- and that means you!